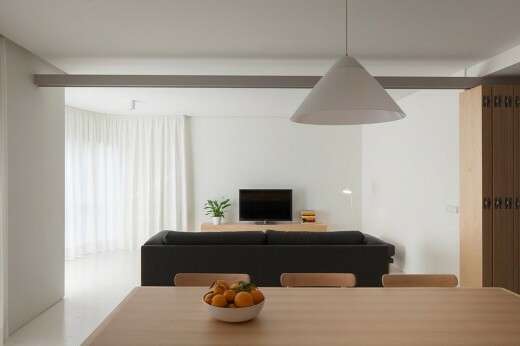 Integrated on a housing facility from the mid 90’s, the apartment is a result of the rampant construction that characterizes the neighborhood growing where it’s located. 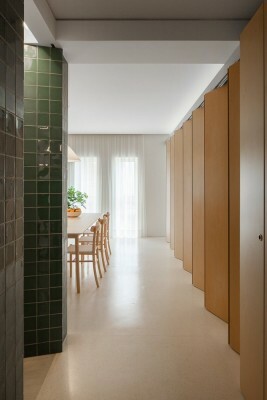 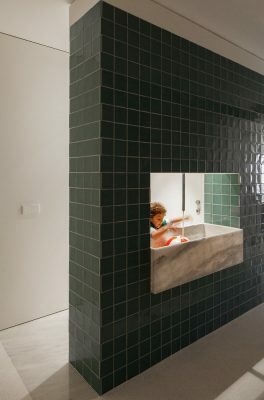 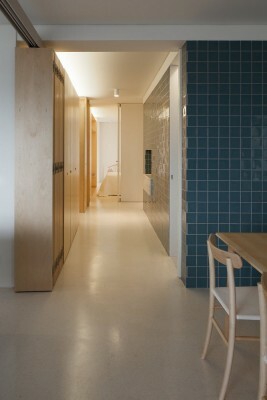 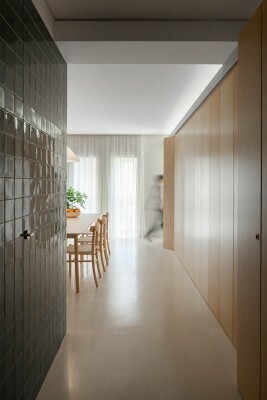 Maybe for this reason, it was organized in a very uncommon way: the house’s most intimate area was facing to the only public space that confronts the building, Ruy Belo street, traced by the seaside landscape and the noise; while the house’s collective zone, the living room and the kitchen, enjoyed the calm of the backyard. 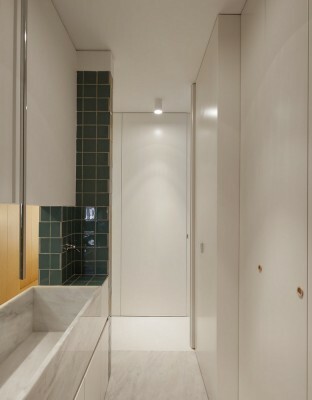 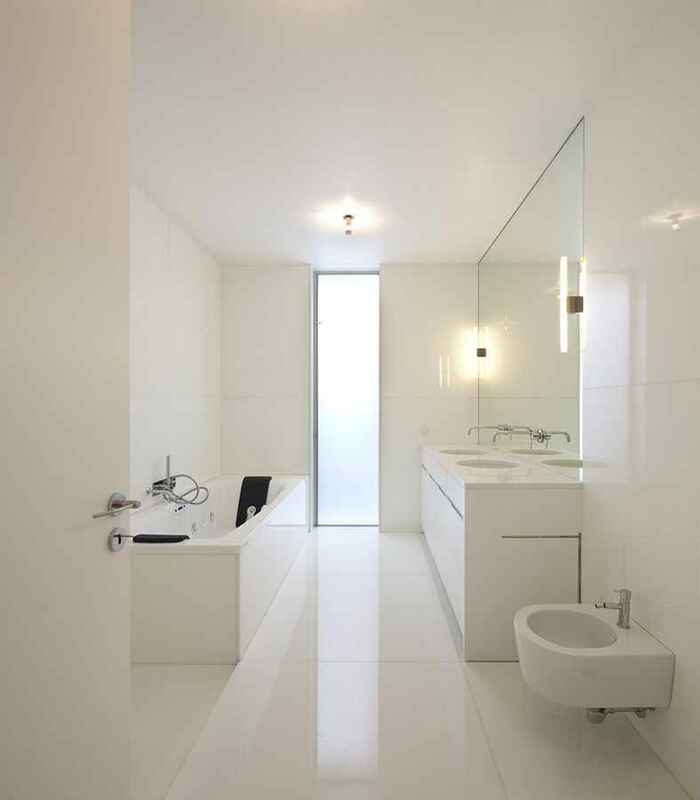 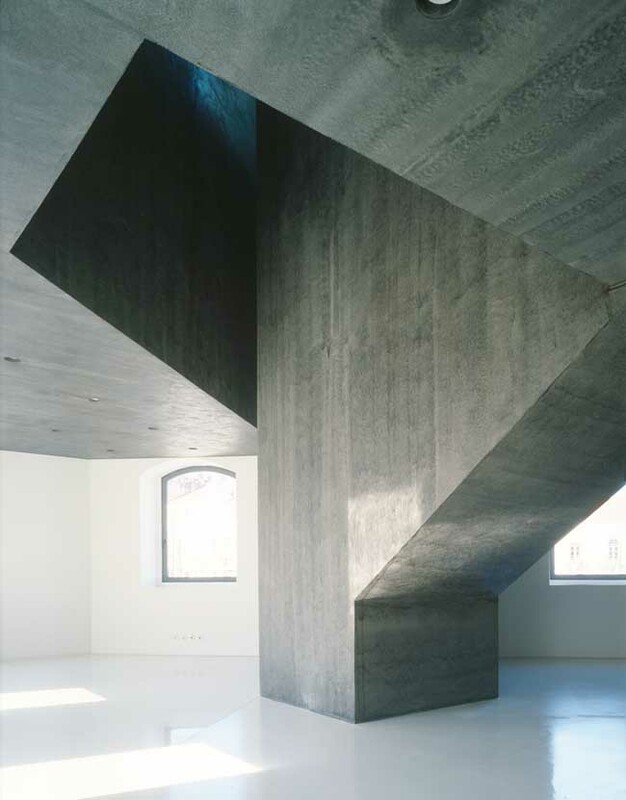 This feature made the apartment’s living experience quite dark and little related with its urban context, therefore, making fundamental to reverse this random character and rotate the apartment’s internal organization. 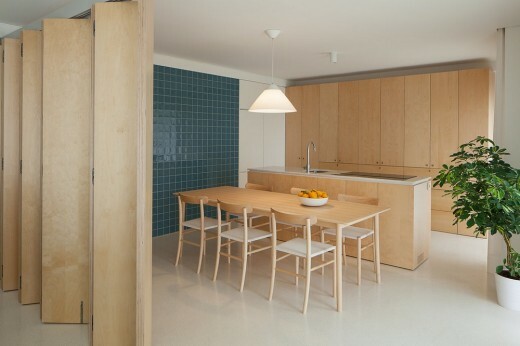 Settling a hinge on the existent infrastructural core, where we relocated the bathrooms and the laundry, we turned the living and kitchen space towards the beach and the bedrooms to the block’s quite garden. 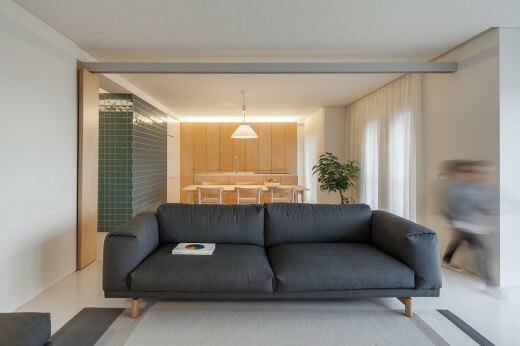 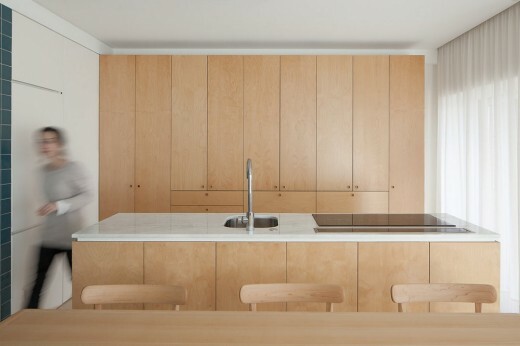 The house’s internal organization is now appointed by this service central core and by a plywood surfaces line, which extends itself throughout the apartment and allows to multiply the number of bedrooms. 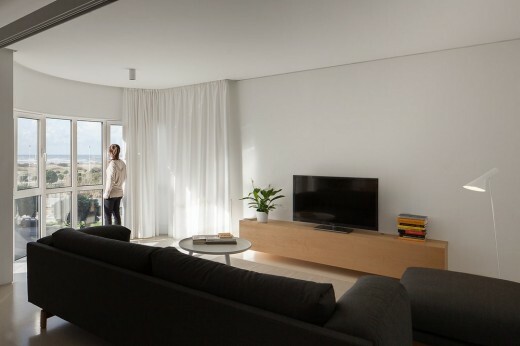 Opening and closing the folding doors, which finish off the plywood line, one breaks and redefines the apartment spaces, ensuring some flexibility on the occupation and the number of inhabitants. 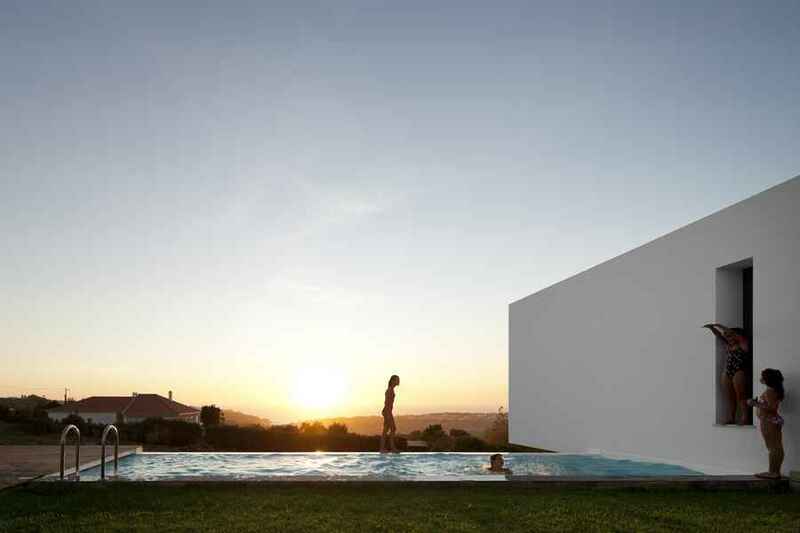 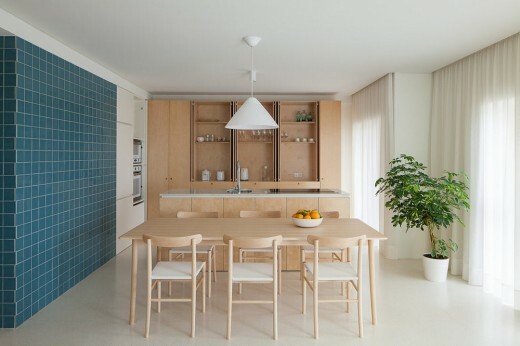 As it is a holiday home, for summer and weekends, it was our intention to give an important role to the trivial domestic tasks, which in these periods acquire a different time on quotidian life. 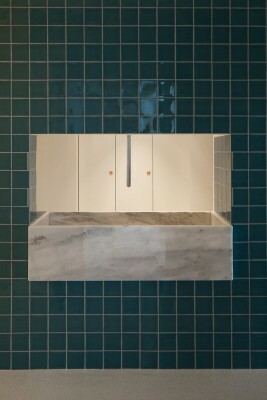 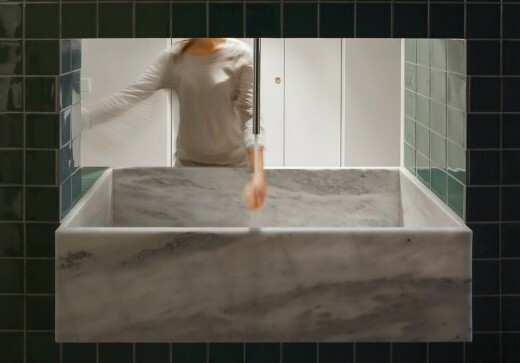 This way, the opened laundry to the entrance, by the presence of the marble vat, and the central counter of the kitchen, realms this functional dimension and enhanced the importance of the new organization on the house’s new ways of using. 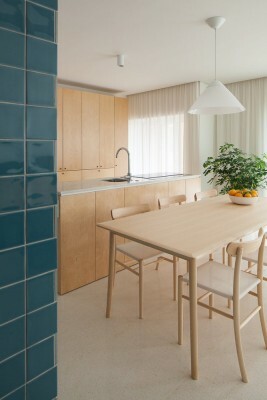 Through this materiality and the new exposure, we tried to bring more light to the apartment and to link, on a very clear way, the interior space of the house with the beach for which it turns to now.